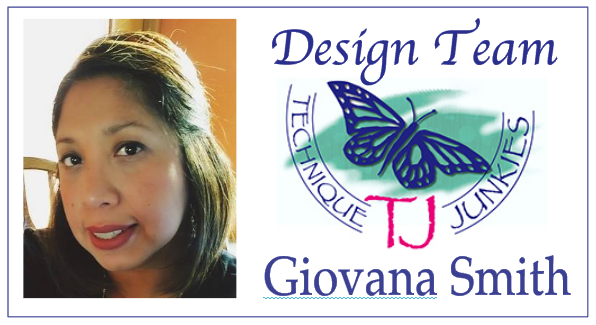 Giovana here today with a super easy card for you!! Sometimes you just need a quick and easy card to make somebody feel better. Stamp Floral Dot Background on pink cardstock in Cherry Ink, use your MISTI to get a perfect impression. Stamp Get Well Soon in Chocolate Ink. Die-cut panel and adhere it to a white card base. Add White and Rhubarb Crumble Nuvo drops to embellish. You can get these stamps with a 10% discount using my code TJ10Giovana. One of the fun things about art is that you can create your own world ... so when I thought about today's cards, I decided that in my world ... dogs would be green (for some non-traditional St. Patrick's Day cards I wanted to get in the mail). 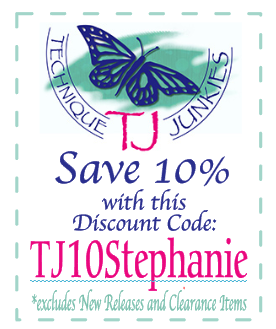 Remember, you can use my discount code TJ10Stephanie for 10% off your Technique Junkies Order. I combined the cute puppy from I Woof You with the Dog Hair Sentiment. 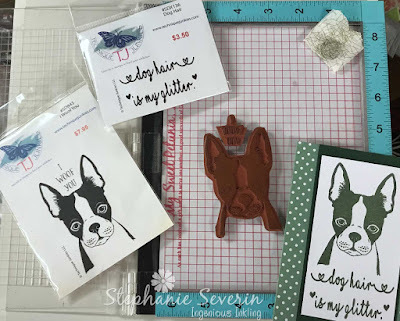 You can see below how I performed a little stamp surgery, so I could stamp the puppy without his sentiment (and easily use my MISTI to return the sentiment to its place if I want to). 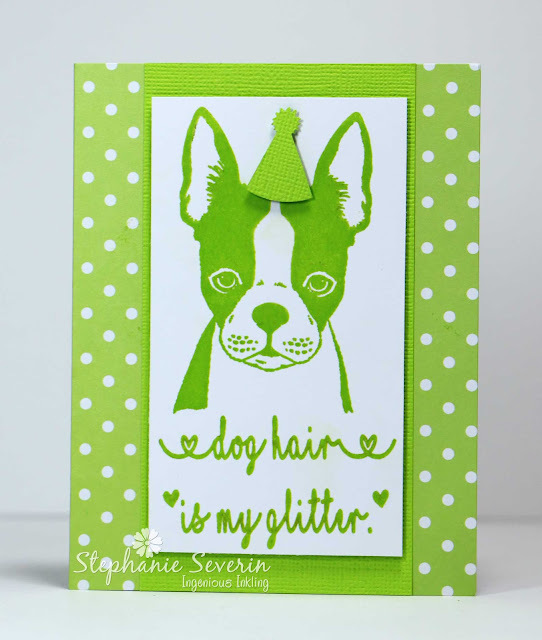 I did my second puppy card in a lime green. I couldn't resist adding a little paper punched party hat ... doesn't he just looked thrilled. I'm also joining Crazy 4 Challenges where they're putting Pets on Cards. 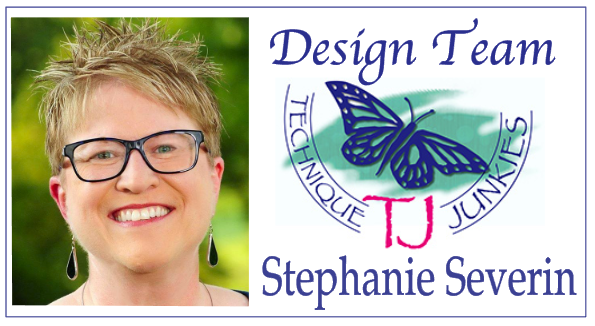 Good morning Technique Junkies! 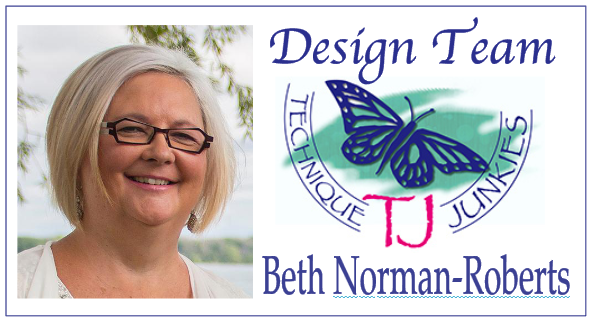 Beth Norman-Roberts here. This wildly popular Rose Frame stamp is a favourite of mine, and I think the rest of the Design Team because I see it posted a lot, using multiple mediums and techniques. By using my discount code, TJ10Beth, you can receive 10% off these stamps, and any other product you put into your shopping cart. I used Inktense watercolour pencils on my roses and am very pleased with the results. I also did a yellow one in the past. 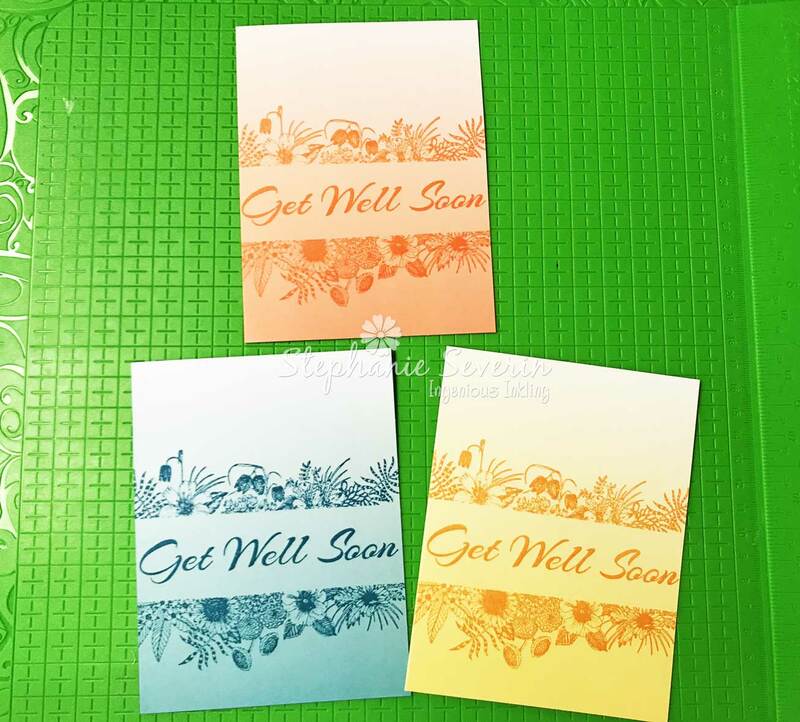 I added it for you to see how different a stamp can look using a different colour. 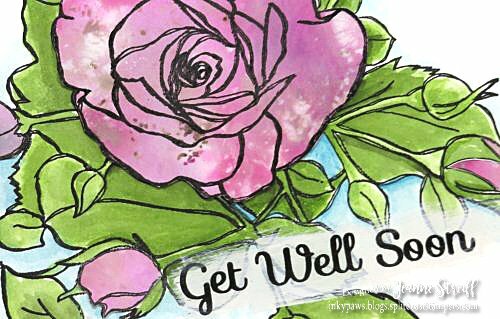 Paired with Rose Frame is Get Well Soon. 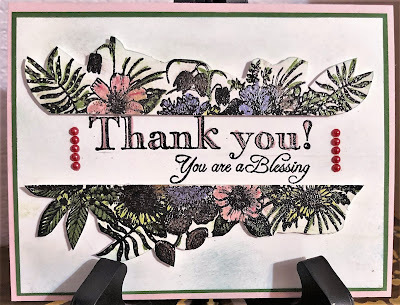 I used the fabulous new Technique Junkies Release Floral Framed Sentiments and a verse from Grand Greetings. 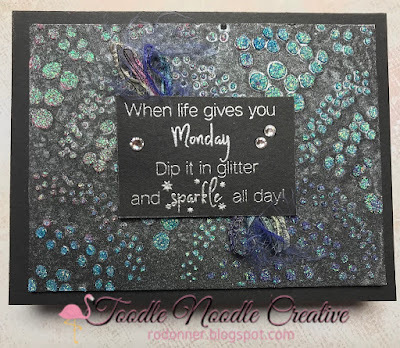 I heat embossed both the flowers and the verse with a glittery black embossing powder. Everything was colored with Nuvo Glitter markers and then heat set to prevent smearing. I fussy cut the flowers and popped them up above and below the verse. I have a friend who has been a very real help to me with a huge project and I will be sending her this card. Saving money is always a good thing. Save 10% by using the code TJ10Judy in the coupon spot when you place your Technique Junkies order from the TJ web store. 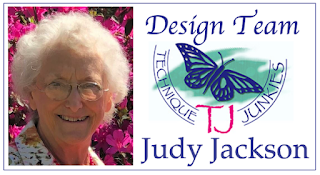 Have a tremendous day and I hope it is very pleasant wherever you are! Don't forget to get inky! I just love these two critters. Their expressions and their quirky bodies! And that verse says it all. 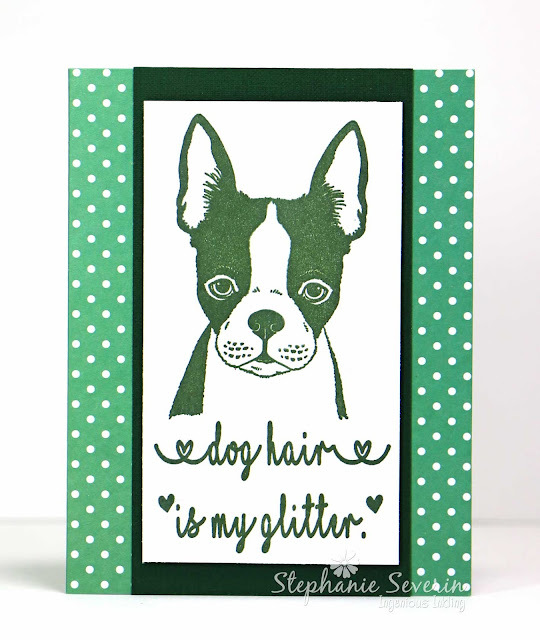 For my card, I stamped the Paw Prints Background onto a kraft card stock panel, using white ColorBox ink. I attached that panel to a black A2 Card. 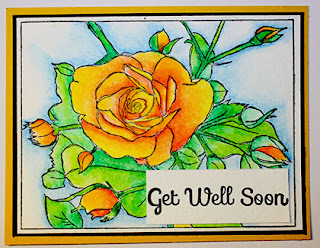 Inside, I stamped the same background on a portion of a kraft panel, with brown distress ink. For the image panel, I stamped the Duty Of Love stamp onto a kraft panel and lined it with black card stock. I colored the dogs with distress ink and a water brush, and brushed distress along the edges. This card to the left is my first card with this image. For details, and a pic of the inside, see my post HERE. Today's card was fun to make. We're nearing the end of the month. If you haven't made your selections of February stamps yet, feel free to use my code, TJ10 Lynda, for a 10% discount on all products at Technique Junkies store. 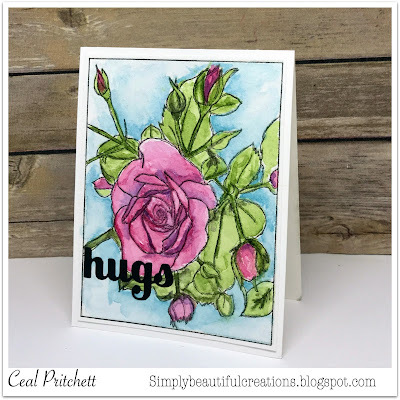 It's Ceal, her with you today to share a card using the Rose Frame stamp from our February release. 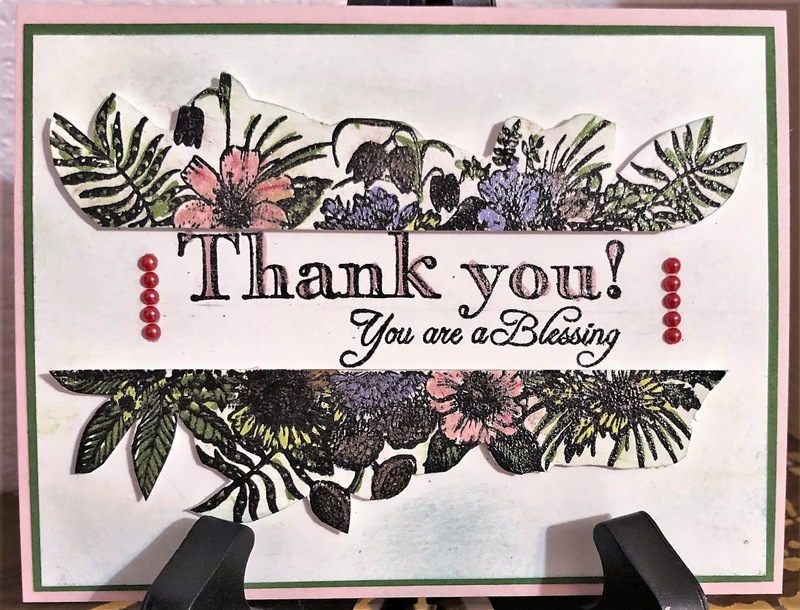 To create this card I started with a white top folding card base and a watercolor paper panel, I cut down a quarter of an inch smaller. 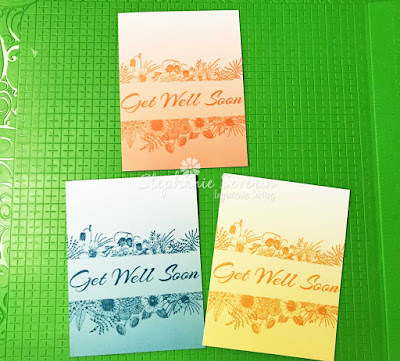 I used the Misti to stamp the image because of it being watercolor paper and the texture it is hard to get a clean image, but to tell you the truth I used the Misti on every single card I make. After I got a good clean image I used Daniel Smith watercolors to color it in. And here is the card! Just look at all that shimmer and sparkle and shine...YUM! 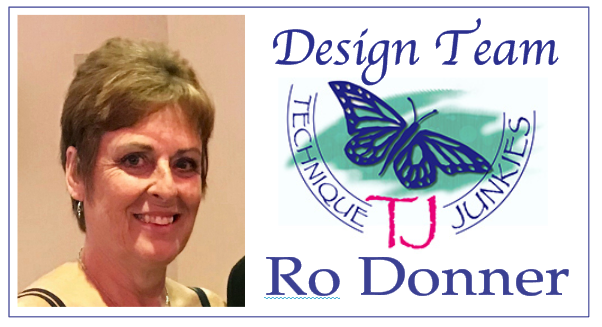 It was a simple process with a stunning result. I started with a piece of black CS and the stencil taped to my glass mat. I added the three colors of Glimmer Paste. All three pastes used were from the iridescent family, so you can see a lot of color change and movement as you tilt the piece around. I removed the stencil (and immediately washed it with soapy water), and set the piece aside to dry (doesn't take long!). 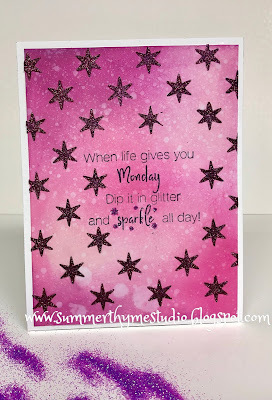 I took a smaller piece of CS and, using the MISTI, stamped the sentiment with Versamark. I added silver EP and heat set the piece. I trimmed the piece down very precisely using the new CutAlign tool. I love this new tool! Going back to the first piece, I added a generous spray of Iridescent Shimmering Bliss Topper. You can see how well that shows up on the dark cardstock, and totally enhances the Glimmer Paste! Once dry (again, doesn't take long! 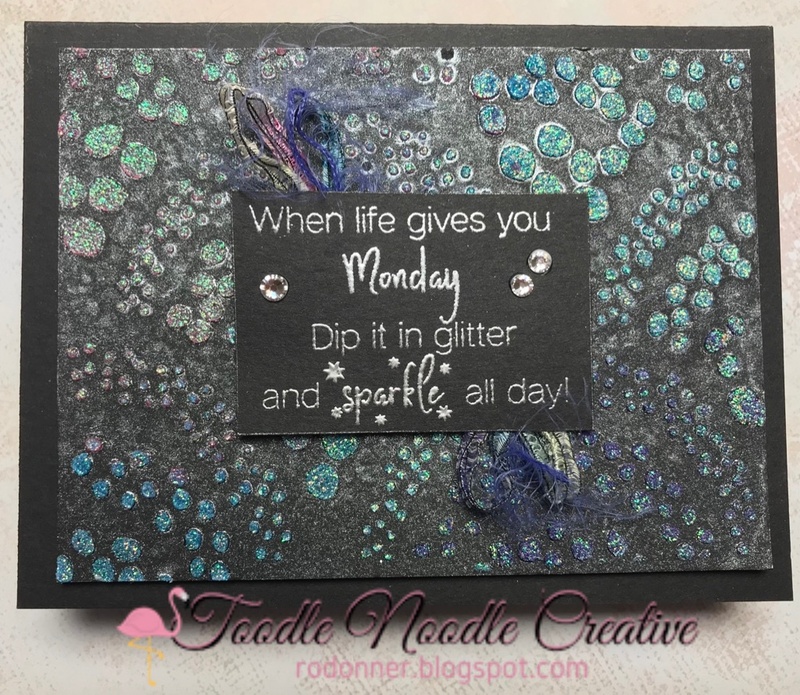 ), I edged the panel and sentiment piece using the Silver Glitter Marker. The panel was then attached to a black A2 card base using foam tape to give it some dimension. 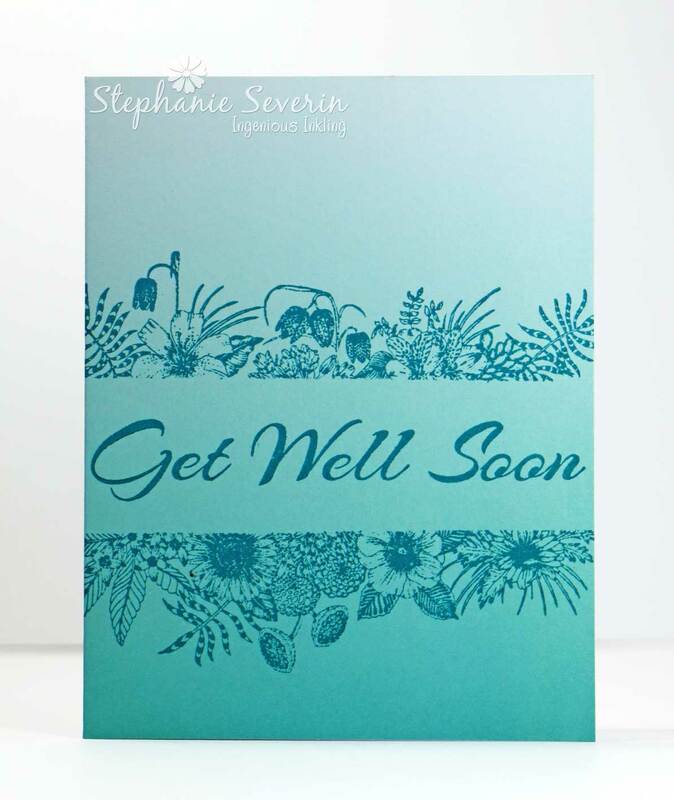 To the sentiment piece, I added some fibers on the back, along with more foam tape and attached that to the card. 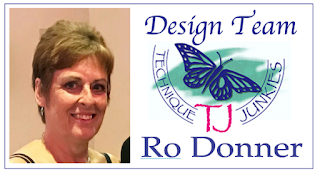 A couple of Robin's Nest Dew Drops nicely finished off the card. 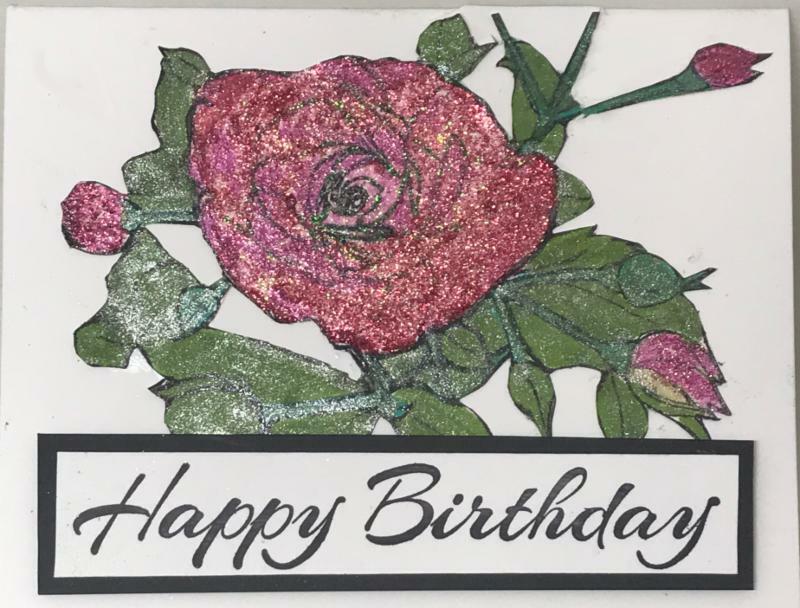 I stamped and watercolored the background and leaves and the stamped again on a panel cardstock that I had randomly painted with acrylic paints. I cut out all the rose parts and layered them on top. Good Morning!!! I have a couple of quick and easy cards to share with you today. 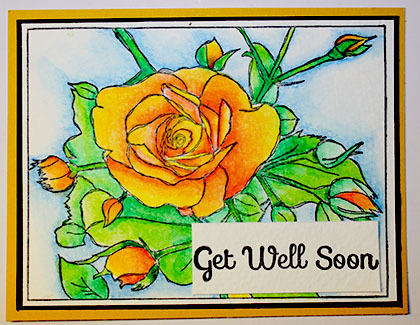 For my first card, I created a background with Distress Oxides in Spun Sugar, Raspberry and Seedless Preserves. 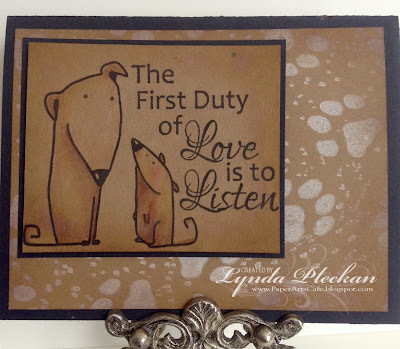 For this card, I embossed the Just a Hug Stamp onto white cardstock with Cherry Cobbler Embossing Powder. 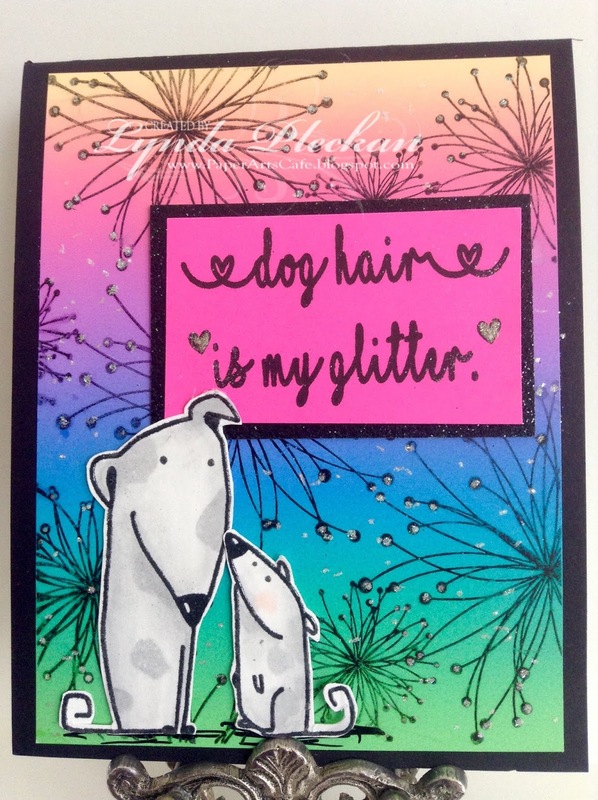 Next, I lay the Doodle Wheel Stencil over the heart and sponged Memento Galaxy Gold Brilliance Ink over. I have a couple more ideas for this awesome stamp and will share soon!!!! Hope you have a wonderful Sunday!!!! Here's a little coupon code for shopping! Hey there stamping enthusiasts, it's finally the weekend, and I'm here with a really cool stamp combination today from Technique Junkies February release. If you have yet to see the release stop by the Technique Junkies website and use code TJ10Janelle at checkout for 10% off your order. I just love this Friends Looking Out image and had to have it in my stash! I have quite a few fun ways to color it up in my mind, and the first thought was with blue window panes, and now I'm getting to share it with you. 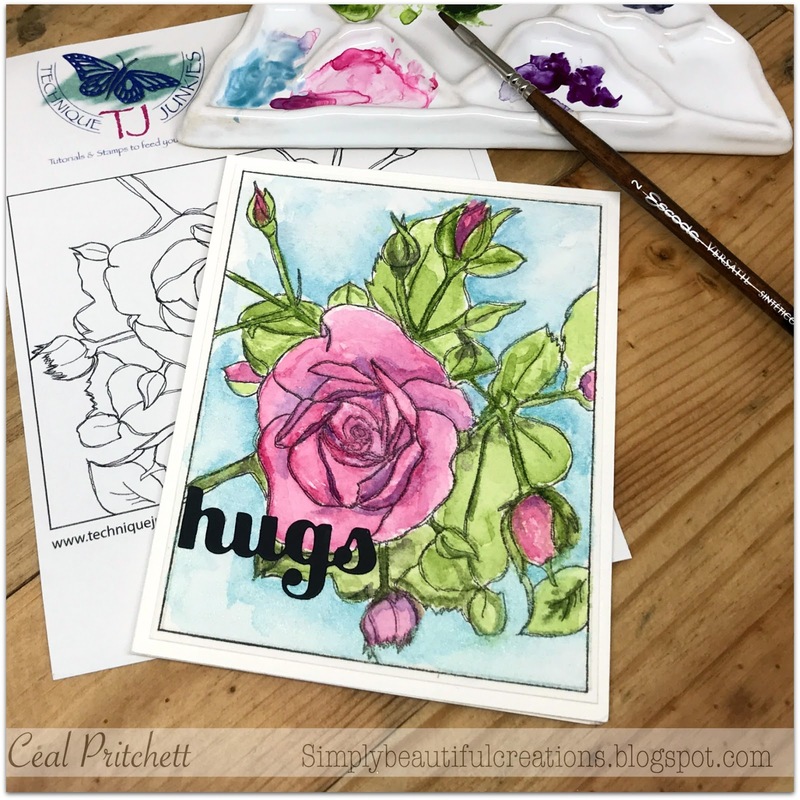 The stamp is really easy to color up, one of the things I love about Technique Junkies stamps, and it's the perfect size for an A2 size card (4-1/4 by 5-1/2 -inches). 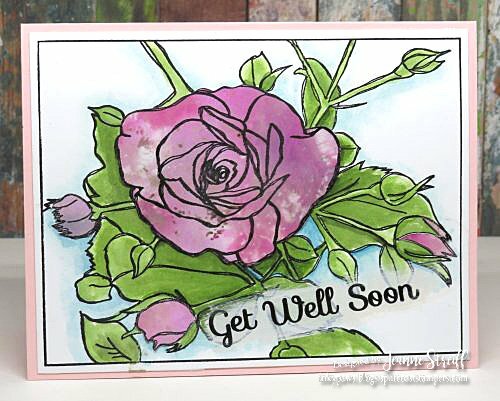 I used alcohol markers for the image and then heat embossed a sentiment from French Sentiments, a January release stamp set. To see the sentiment clearly, I used a black pen to create a shadow. While shopping today take a look at the stamps used in my project, Friends Looking Out and French Sentiments, plus there are also great Spray and Stamp Bundles available like Bundle 5 shown above that's great to accent any design and theme. And remember to use today's 10% off code -- TJ10Janelle -- at checkout. 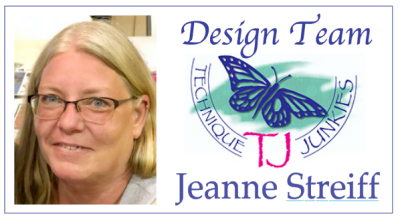 Thank you for stopping by today where I hope you'll have time to get crafty! For more of my Technique Junkies, projects take a look on my blog at Rain Puddles Design. I am so excited that the new Cut-Align from My Sweet Petunia (the makers of the MISTI) came in this week from my Creativation (CHA) order. I cracked open the box right away so that I could play with it and share how it works! This week's video is a two-fer. 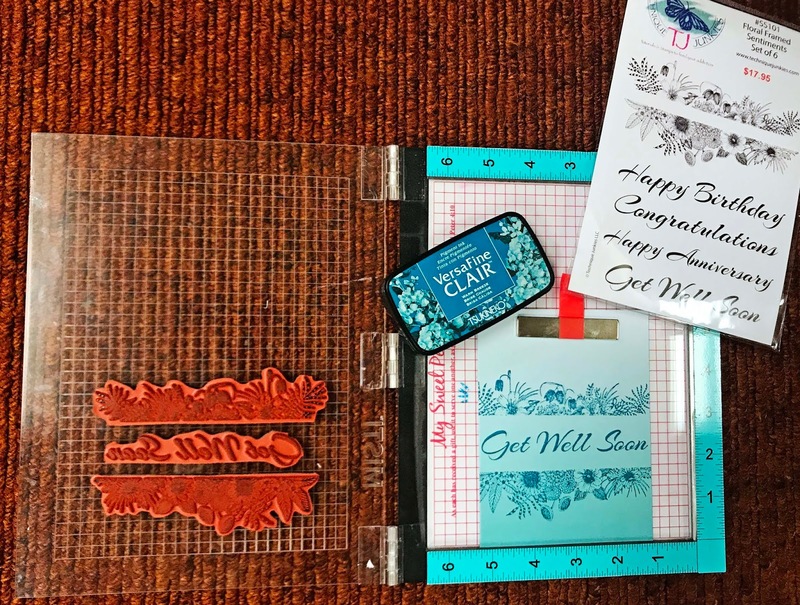 First I show how to use Nuvo Glimmer Paste to color a stamped image, then use the new Cut-Align to cut a stamped sentiment and matte perfectly. I have to say, I really like this tool. I love that there are two Cut-Align rulers in each package, perfect for both Scrapbooking and stamping. 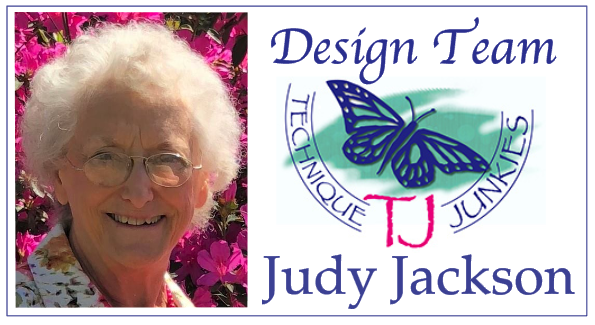 I will never have a crooked mat on my art again! I do have a few boxes in stock for you and they are available NOW. Order yours HERE. 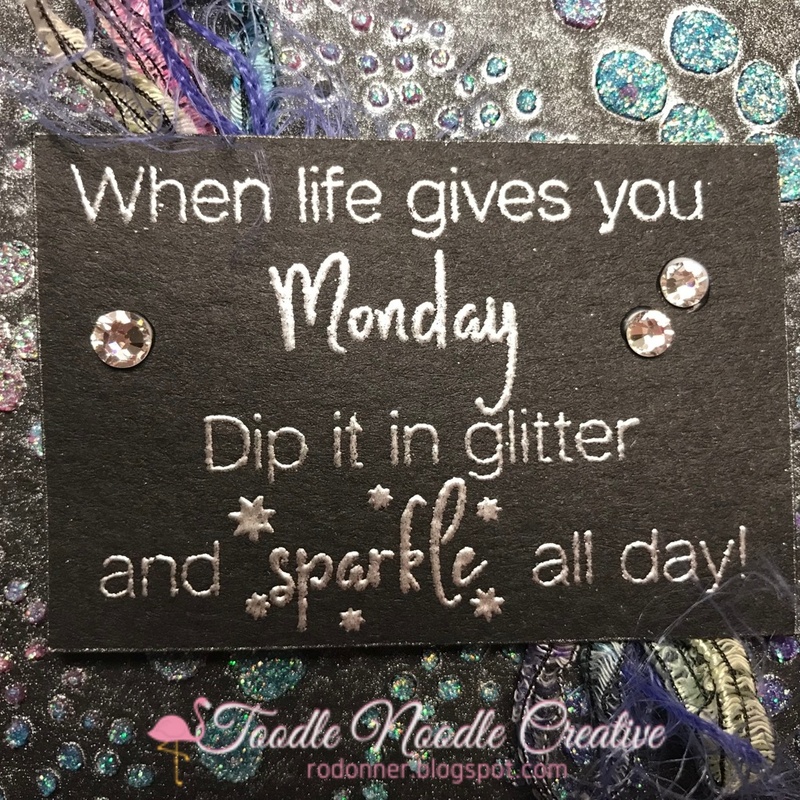 I hope you are a little inkspired by today's issue. See you next week! 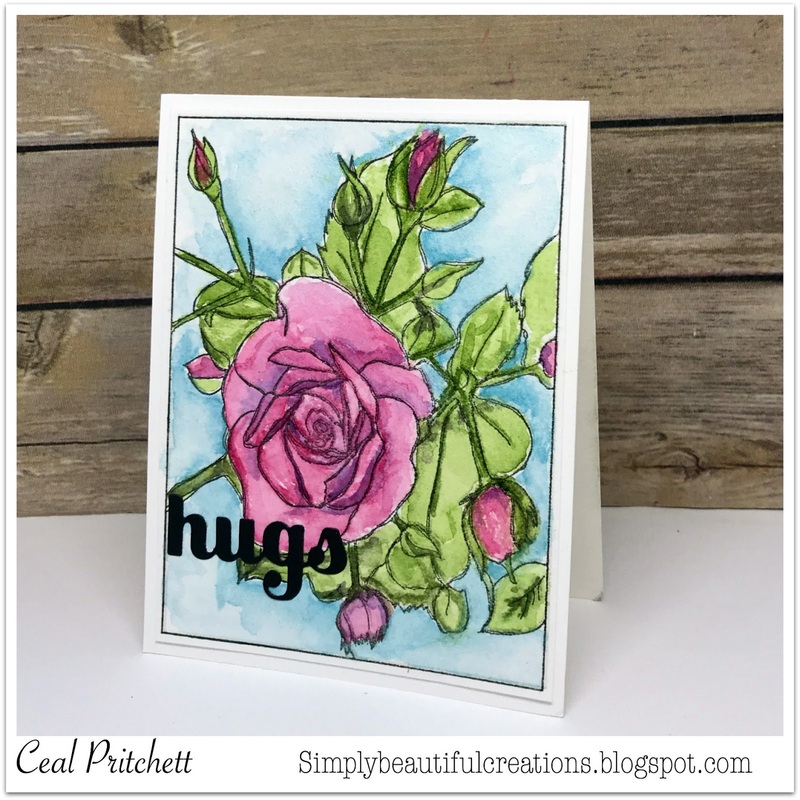 Today I have a super cute card, sometimes we just need a hug and just a hug!! 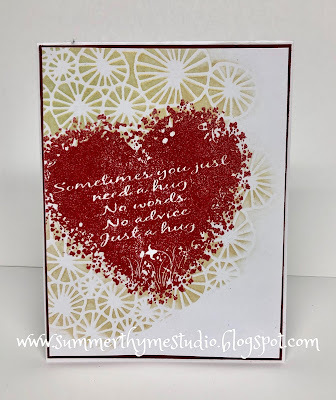 For this project I used Just a Hug Stamp, brand new just released and the heart has a beautiful sentiment. I stamped the image on watercolor paper in Cherry Ink, then stamp it again with Versamark and added Clear embossing powder, then heat set. After that, sprayed the panel with Dazzle Shimmering Bliss Topper and Festive Flamingo Shimmering Bliss. Die-cut the panel and added it to a White card base. 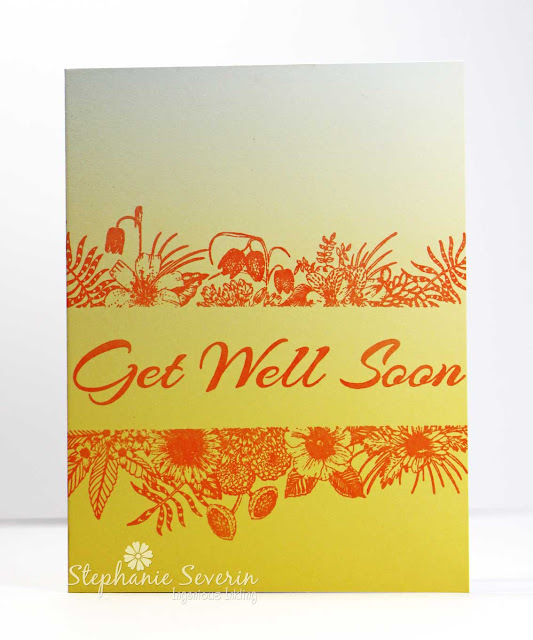 Added gold Nuvo drops, ribbon and a little piece of patterned paper. You can get these products with a 10% discount using my TJ10Giovana code. The new Floral Framed Sentiments are one of my favorite sets from the February release. Remember, you can use my discount code TJ10Stephanie for 10% off your entire order. 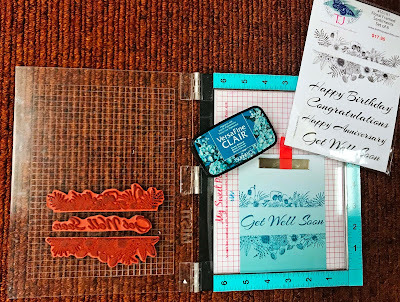 I love that I can use the grid-lines on my MISTI to line-up the stamps, and then I was able to stamp an entire set of Ombre Note cards in multiple colors. 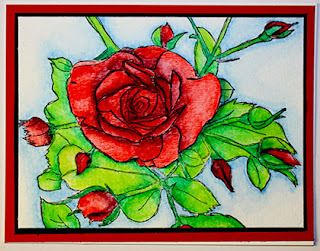 I started with True Breeze Versafine Clair Ink on a blue note card. 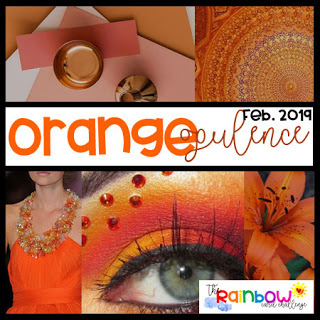 Next I moved on to Orange for the Orange Opulence Challenge at the Rainbow Card Challenge. And finally Yellow, but I stayed with the orange ink for more contrast. 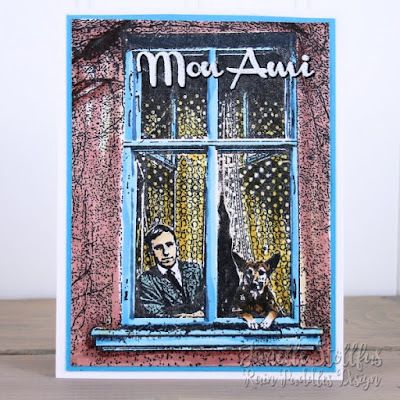 I love all of the possibilities for this gorgeous stamp set.